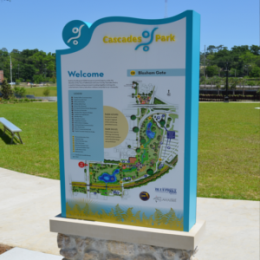 Creative Sign Designs was selected from a qualifying bid process by the City of Tallahassee to undertake the branding of its new social center, Cascades Park. 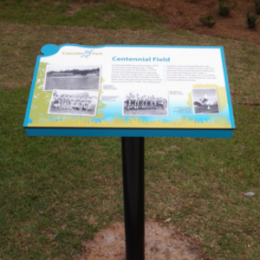 Creative Sign Designs teamed up with Blueprint 2000, who worked closely with the City of Tallahassee, in a design/build venture to construct wayfinding signage for the new park. 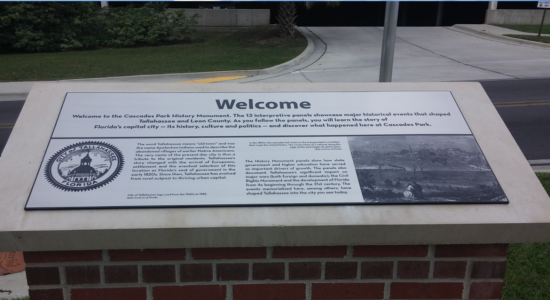 Cascades Park is the newest social center of the City of Tallahassee bringing together arts, entertainment, education, history and wellness. 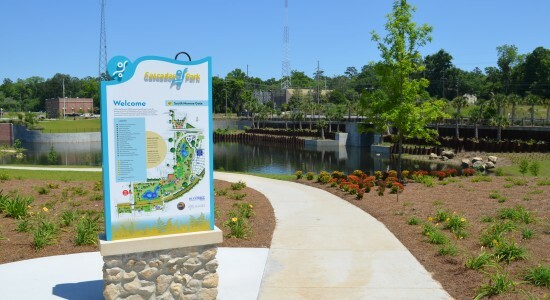 Located in the heart of downtown, Cascades Park offers a variety of outdoor and recreational amenities, including 2.3 miles of biking and walking trails, an outdoor amphitheater, an interactive water fountain, a children’s play area, a Smokey Hollow Commemoration and a storm-water facility that is designed to flood offering relief to nearby areas during major storm events. 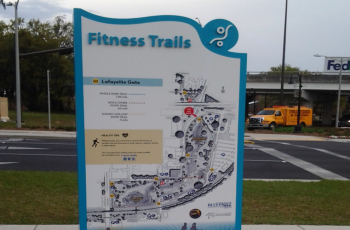 The original design concept was created by Blueprint 2000 and The Creative Pool by Charity Myers. 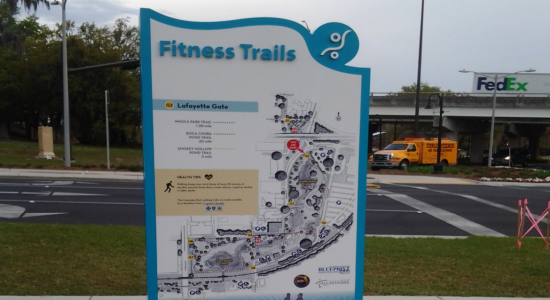 Creative fabricated and installed all wayfinding signage throughout the park. 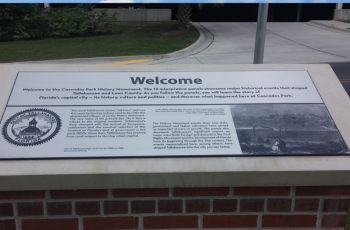 Park signage includes gateway monument signs with a map and highlighted features, stainless steel etched panels for dedication plaques and monuments depicting the history of the property and the City of Tallahassee. 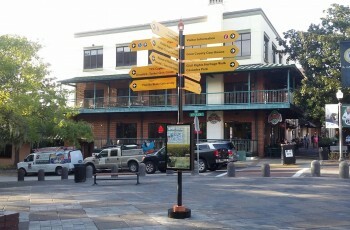 The signage also includes parking signage with themed finials to indicate the appropriate parking areas and parking hours. 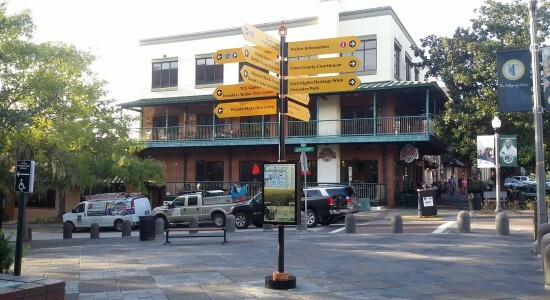 Donor plaques and pedestrian directional signs are located at intersections throughout the park that included an information/map cabinet with interchangeable copy. 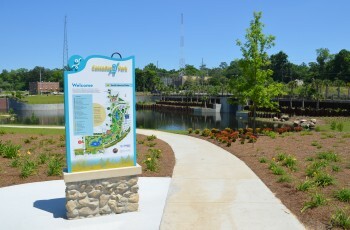 Creative Sign Designs is happy to have played a part in making this new urban park come to life.